Intandem team members with Dominic Stucker of the Collective Leadership Institute in Berlin in December. 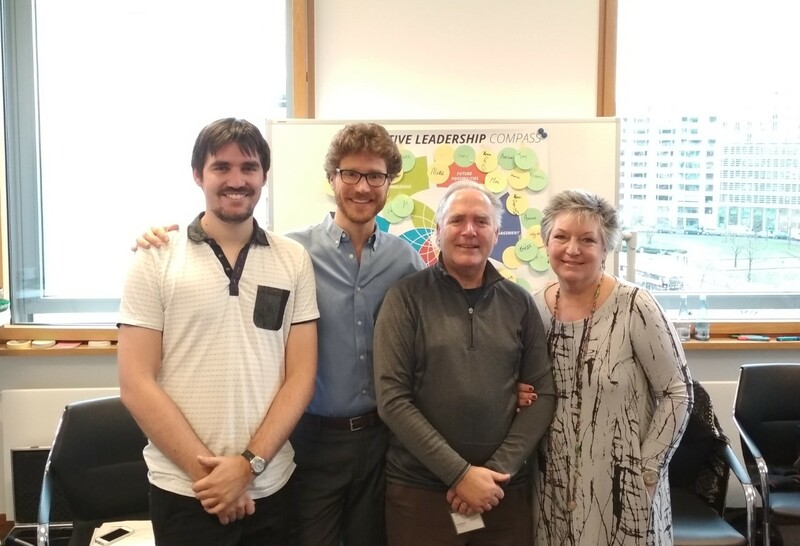 Chris, Debbie and Jay completed their three part training with the Institute and are now accredited as ‘Collective Leadership Experts’, qualifying them to apply the collective leadership models and methodologies in practice and in group facilitation. Intandem’s first training course in association with the Institute will be held in Geneva in April 2018 and will be on The Art of Leading Collectively. More information and an application form is available here.